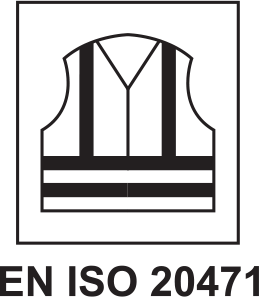 The EN ISO 20471:2013 has replaced the former standard EN 471:2004 + A1:2007 with effect from October 2013. 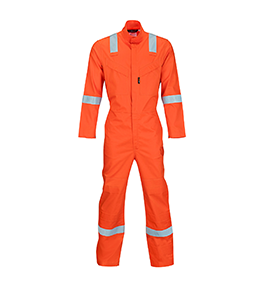 The EN ISO 20471 : 2013 specifies requirements for the high visibility clothing which is capable of visually signaling the user’s presence. 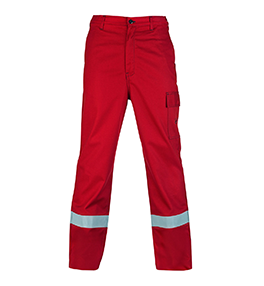 As per the standard all class 3 garments must cover the torso and have as a minimum either sleeves with retro reflective bands or full length trouser legs with retro reflective bands. This ends the possibility to CE mark sleeveless class 3 garments. If a short sleeve is covering a torso band, retro-reflective tape must be fitted on the sleeve. It is now also possible to CE mark separate garments together to fulfill a requirement for a certain performance class. This is achieved by a so called clothing ensemble: e.g. by certifying jackets and trousers together. 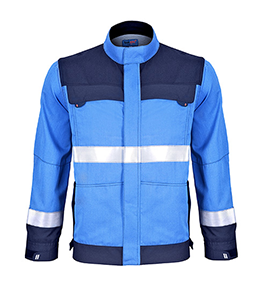 The standard permits a Class 2 Jacket & Class 1 Trouser to be combined and certified as a Class 3 ensemble. Two or more fluorescent colors are allowed on a garment together e.g. both yellow and orange background material can be used to make a single garment. Both colors will contribute to the minimum required area to define the garment class. The background (fluorescent) material must encircle all relevant parts (torso, arms and legs, as appropriate) with a minimum width of 50 mm. Colorfastness to Perspiration (staining) increased from Grade 3 to Grade 4. Colorfastness to Washing (staining) decreased from Grade 4-5 to Grade 4. The Tensile Strength requirement for woven fabrics has been reduced from 400 N to 100 N, and the ‘tensile/mass’ index requirement of ≥ 2 has been removed. The Bursting Strength for knitted fabrics has been reduced from 800 kPa to 100 kPa for area 50 cm² or 200 kPa for area 7.3 cm². The minimum Tear Strength requirement for coated and laminated fabrics with elongation ≤ 50% has been reduced from 25 N to 20 N.